Portland-based Paul Guinan and Anina Bennett are a husband-and-wife team of multimedia artists who have produced a variety of work from comics (the science fiction romance Heartbreakers and the superhero Chronos, among others) to the website and book about Boilerplate, a robot. Their new book, Frank Reade: Adventures in the Age of Invention, is their best work yet. Frank Reade tells the life story of boy inventor Frank Reade, Jr., beginning with his birth in 1862. It covers Reade Jr.'s adventures around the world, from the American West to Nicaragua to Africa to China, as well as his inventions, comrades, enemies, and his death in 1932. There are dozens of excerpts and quotes from the journals and letters of Reade and his family and friends. The book also has a large number of informative and accurate sidebars and inserts on relevant historical topics, from the American holocaust of Native Americans to a biography of U.S. Marine ubermensch Major Smedley Butler. Frank Reade is published by Abrams Image, the same house that produced Jeff Vandermeer and S.J. Chambers' Steampunk Bible (2011). Like the Steampunk Bible, Frank Reade is a gorgeously made book. The interior layout and design are splendid, the illustrations are crisp and colorful. The final product is a coffee table book which is great fun just to look at. Abrams is to be effusively complimented for producing such a handsome volume, which at $24.95 is easily affordable. The book is heavily illustrated; every page has at least one image on it, and many pages have three or more. The usual fine quality of Guinan's art is unchanged here. Photographs are rare but well-positioned. The stand-out among the images, however, are the full-color and very large reproductions of the covers and interior art from Frank Reade's original dime novel appearances in the 1870s, 1880s, and 1890s. Taken from the exhaustive collection of dime novel collector Joe Rainone, these images are delightful both as a glimpse into the proto-steampunk science fiction of the late 19th century and as an aid to the story which Bennett tells. The text is a combination of Bennett's original prose and edited excerpts from the original dime novels. And that's the only problem with Frank Reade: the mixture of the original and the historical are too good. It's impossible to tell what comes from the original stories and what comes from the new material. It's the same problem that Manguel and Guadalupi's Dictionary of Imaginary Places has: enough of the material in Frank Reade is entirely created by Bennett and Guinan that the historical aspects of the book end up feeling untrustworthy. Frank Reade, Jr., after all, was an actual 19th century dime novel hero. He was created in 1876 by Harry Enton; his son, Frank Reade Jr., was created by 1879 by Luis Senarens; and Reade Jr.'s son, Young Frank Reade, was created in 1899 by a so-far unknown author. Together they appeared in over 190 stories in a number of dime novels. 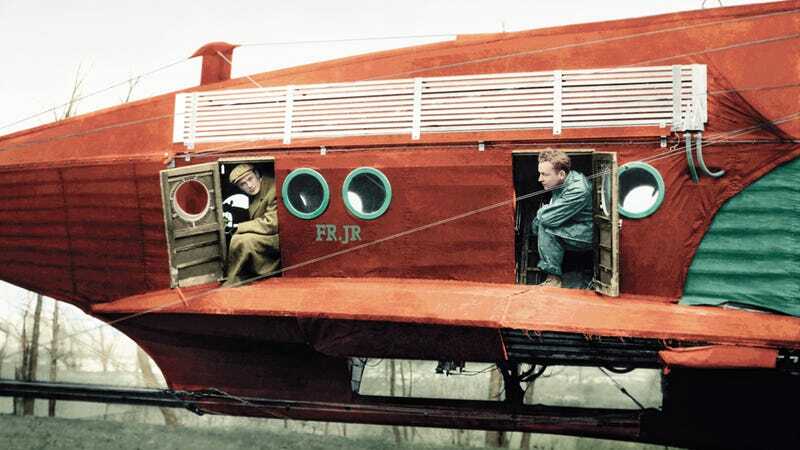 Reade Jr. was not the first of the Edisonade (boy inventor) heroes — that honor goes to Johnny Brainerd, the hero of "The Steam Man of the Prairies" –- but Reade, Jr. was the best-known and longest-lasting of them. The Frank Reade, Jr. stories are landmarks of American juvenile science fiction, the progenitors of Tom Swift and every other boy/girl inventor story in modern science fiction, juvenile or adult. The Frank Reade, Jr. stories are sodden with racism and xenophobia and are morally repugnant, but they are historically important and well worth studying. None of this is stuff you would know from Frank Reade: Adventures in the Age of Invention. Bennett is a skilled enough writer that the reader literally cannot tell what is Bennett's creation and what appeared in the original dime novels. Likewise, the photographs are supposedly real, but are all staged presentations. Very well done staged presentations, but staged presentations nonetheless. For a reader wholly unfamiliar with Frank Reade, Jr. and the dime novels, this will not be a problem. They will no doubt read Frank Reade as a wonderfully-illustrated and well-written novel. And it is both. But readers who know anything about the character will find the book frustrating, as I did, because its crossing of the boundaries between fiction and non-fiction makes Frank Reade unreliable as a reference work (though it never claims to be, unlike the Dictionary of Imaginary Places), but not entirely fictional either. For me, the decision to incorporate Frank Reade into the book was a mistake; Guinan and Bennett are more than talented enough to create a book as good looking and entertaining without using someone else's creation and muddying the waters of Frank Reade, and I wish they had. But this is a wholly subjective judgment. I may be alone in feeling it. I think Frank Reade is a wonderful gem with a deep flaw–a singularly gorgeous curate's egg.